A Simple Kinda Life: 44th Pillsbury Bake-Off® Contest´s New "You Be the Judge!" Voting. 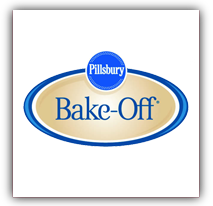 44th Pillsbury Bake-Off® Contest´s New "You Be the Judge!" Voting. You may remember me posting about the 44th Pillsbury Bake-Off® contest back in March. Well, the contest´s entry period ended in mid-April 2009, but now they need people to help with the judging. For the first time in the contest´s 60-year history, WE can help determine 10 recipes among the final 100 that will compete for the $1 million grand prize! Votes can be cast throughout the summer. To help you decide which recipe deserves a shot at the million-dollar top prize, watch this short video of Jann Atkins, Bake-Off® Kitchens assistant manager, as she shares some tips for evaluating a recipe. Remember - Through October 1 at 11:59AM CDT, you can visit www.bakeoff.com to vote for your favorite recipe of each pair. In conjunction with this post, I have a giveaway that you can enter here. Thanks to MyBlogSpark for sharing this with me!